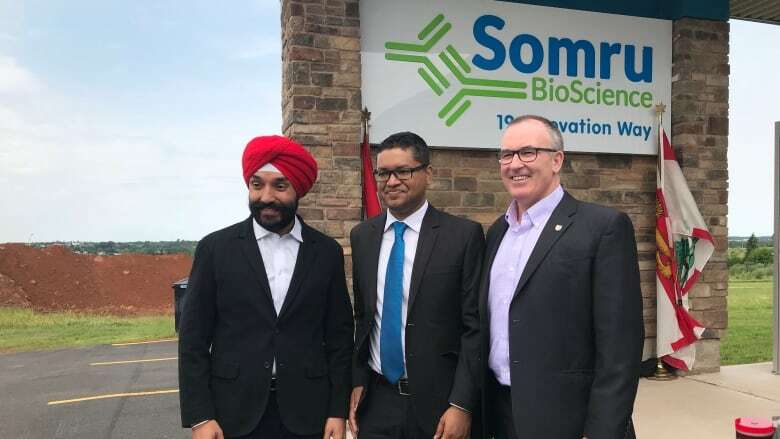 The Charlottetown-based bioscience company Somru BioScience will receive over $4 million in federal and provincial funding to support its latest research and development project. Federal Minister of Innovation, Science and Economic Development Navdeep Bains made the announcement at Somru's facility Wednesday. Bains, who is also the minister responsible for the Atlantic Canada Opportunities Agency (ACOA), said the government understands entrepreneurs take a lot of risks and this funding model promotes government investment and supports local innovation. 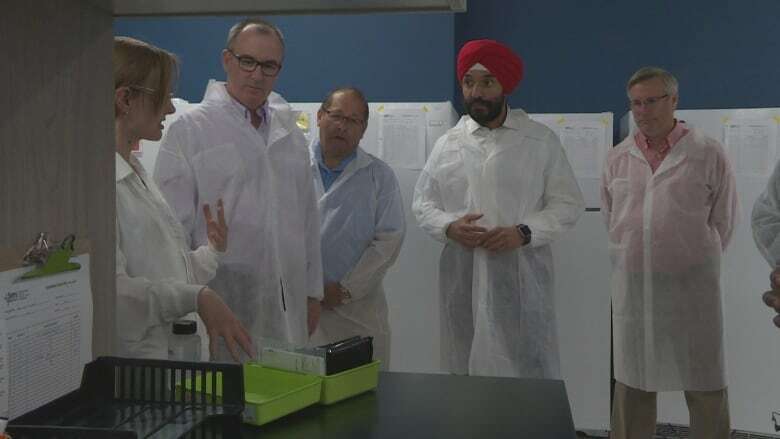 "This is really about strengthening the local ecosystem, the local bioscience sector that's growing and thriving right here in P.E.I.," Bains said. The federal government is providing Somru with $3 million in funding through a repayable loan from the ACOA Atlantic Innovation fund, along with an additional $250,000 in grant funding earmarked for research and development from the National Research Council of Canada. The province will provide an additional $975,000 through a repayable loan earmarked for the expansion of Somru's facilities. The provincial government will also provide $172,000 in non-repayable funding to support the company's labour costs as it hires more employees. Somru BioScience is working on developing new analytical tools that could lead to more affordable medicines. Bains said the federal funding will be dispersed over the next five years and create 100 new jobs in that time. He added that the funding will create twelve of those new jobs right away, to help facilitate the company's expansion. Co-founder Clarinda Islam said staff at Somru are proud to be a part of the start of the bio-tech community on the Island and as the company grows, it will create more opportunities for Islanders to enter the industry. "We have a strong relationship with Holland College now from hiring their graduates, we're very, very happy with their graduates," Islam said. "As we grow we expect to have more of their graduates as well as expand, looking into the talent that's available at UPEI." Storm brings down hail, lightning in P.E.I.